The dramatic landscape and the beauty of the caldera made Santorini a privileged location for film shooting. Every year several production companies examine Santorini as the set for their films. 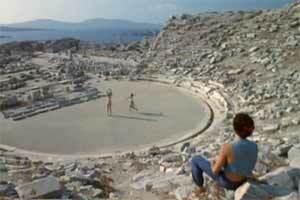 In this section we present some movies about the island or filmed partly on Santorini.